Old Town BSL hosts MULTIPLE events on March 10th! In March, the Mississippi Gulf Coast “Bursts into Bloom,” with both the natural world and community life blossoming with new vibrancy. 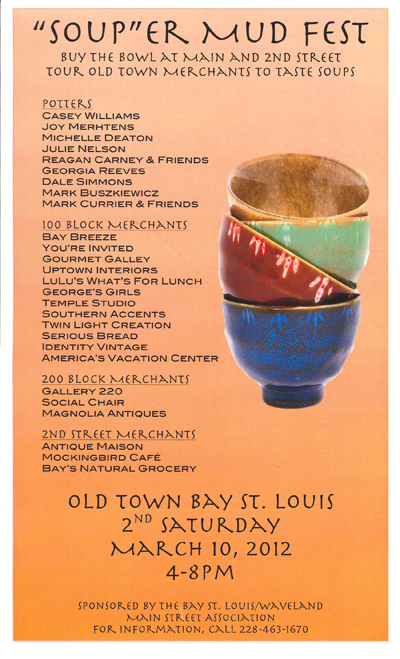 On March 10th, The Second Saturday Artwalk, held each month in Old Town Bay St. Louis, will coincide with several other exciting events, making the day one of the liveliest of the year. 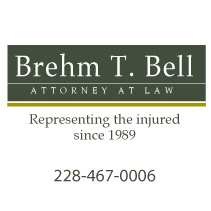 The day starts off with a literal “bang” at 9am, when the fourth annual 5k Health Run/Walk begins. 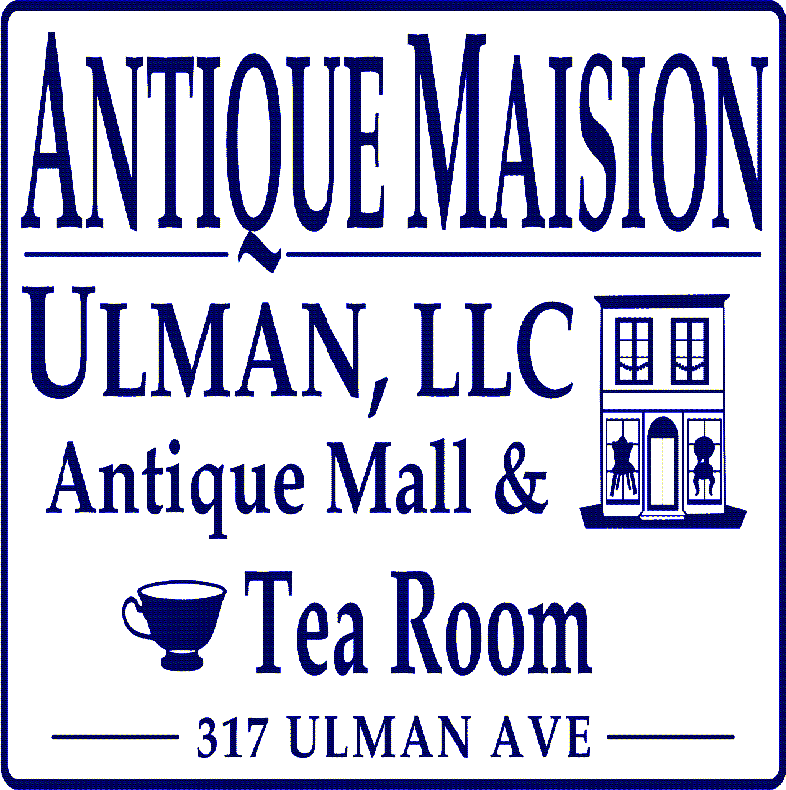 Entrants line up at the corner of Main St. and Second St. from 6-8:30am (call 228.206.1129). Several miles away, near the I-10 Welcome Center, both kids and adults will have an opportunity for a “sneak peak” of the new INFINITY Science Center, slated to open to the public on April 12th. 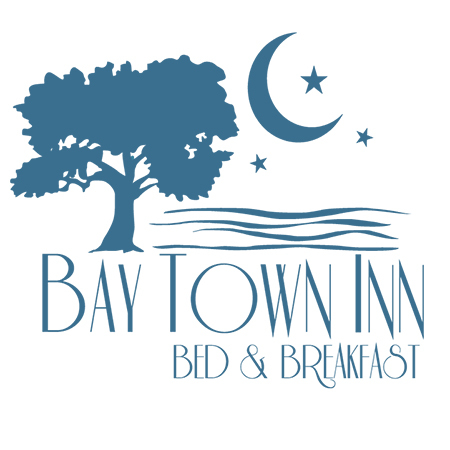 From 9am – 11am, the center will welcome its first guests as part of the Bay-Waveland Garden Club’s 2012 Pilgrimage (sponsored in part by a grant from BP). 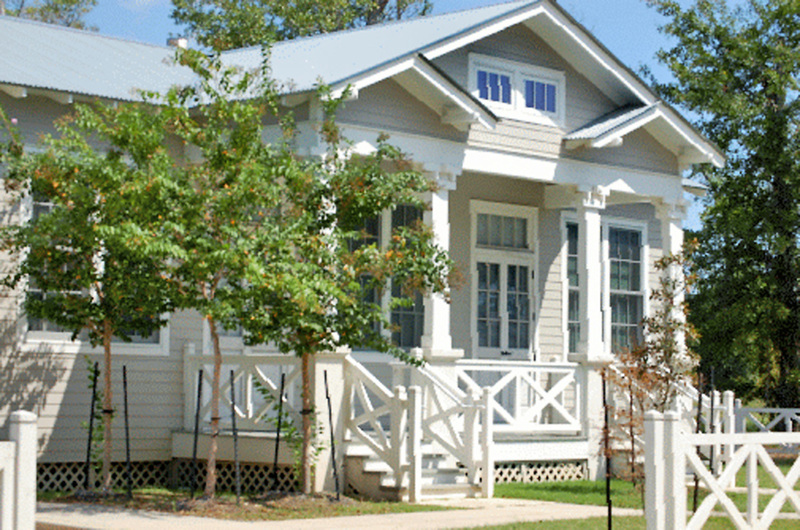 The Pilgrimage also offers a tour of six Bay St. Louis and Waveland homes from 1pm – 4pm. The new Bay-Waveland Garden Center, 541 Main St. in Bay St. Louis, is an exact replica of the original craftsman style home of the center, built in 1915. It will be open from noon – 5pm and serve as headquarters for the home tour, offering refreshments and a plant sale. The Bay St. Louis – Hancock Library, 312 Hwy 90 (just blocks away from the Garden Center) will be featuring a special Bonsai show and educational program on the 10th, from 2-4pm. During the same time period, the library shows a Second Saturday Family movie for free (popcorn included). The Second Saturday Artwalk begins in earnest at 4pm, with gallery owners, restaurants and merchants offering new arts shows and merchandise and specials for the evening. Until 8pm, visitors and residents can stroll the streets, shop, dine and listen to free live music at various venues throughout Old Town. And during this “Souper” Second Saturday, local potters and gallery owners have teamed up to present the “Soup”er Mudfest, an extremely popular annual event. Participants purchase a hand-crafted bowl created by one of over a dozen local potters. Bowls are sold from a booth on the City Green at Main and Second Streets. Bowl buyers are provided with a list of 18 local merchants where they’ll be able to sample gourmet soups throughout the evening - for free. Organizers note that the bowls sell out very quickly and advise arriving early to purchase one (sales begin at 4pm). In Old Town’s Depot District, just a pleasant stroll away from the Main St. activities, The Misfits Club will be displaying their antique cars in the Depot Park. The Visitor’s Center in the historic Depot building is open now on Saturdays as well as weekdays, from 9am – 5pm. It offers information on the full range of activities and attractions in Hancock County. 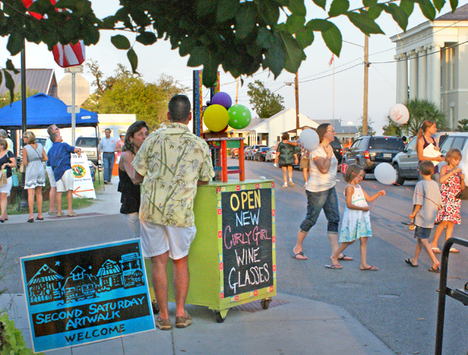 Arts Under The Oaks features local artists showing and selling their work from 4pm – 8pm, while businesses and restaurants in the Depot District will offer a variety of specials.